- Filling: High Density Polystyrene Beans. - For maintenance, you can wipe clean with a moist cloth and a mild soap, this cover cannot be machine washed. 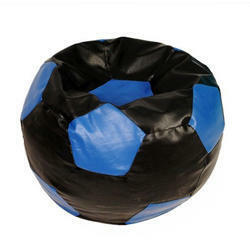 Color: Available in these colors Black & White, Black & blue, White & blue, White & red. 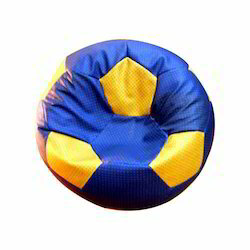 Being a foremost organization in this industry, we are actively engaged in offering the finest quality range of Football Bean Bag.